Put Your Feedback in MOTION. Put relief in motion. 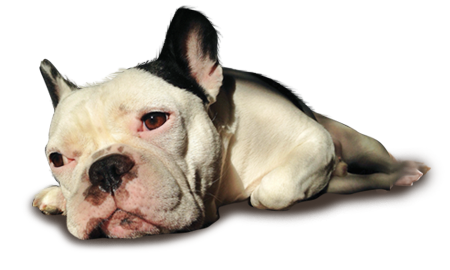 Find a Vet to learn more about PREVICOX (firocoxib) for canine osteoarthritis pain relief. If your dog doesn’t seem like himself, he may be telling you he’s in pain. Osteoarthritis (OA) is the number one cause of chronic pain in dogs, affecting about 1 in 5 dogs over the age of 1 in the US.1 It is a chronic, degenerative disease of the joints that gradually worsens with age, as the protective cartilage in joints wears down and causes painful swelling and stiffness that can make movement difficult for your dog.1,2 The good news is, once-daily PREVICOX (firocoxib) is an option you can discuss with your veterinarian as part of a treatment plan to help relieve the pain and inflammation caused by OA to help put your best friend back in motion.